February-March 2018, This trip combines pilgrimage features early Buddhist teaching and history presented by Venerable Bhante Vimalaramsi and staff. Daily presentations include selective readings of the key sutras at the historic sites where delivered the discourse. The 11-day tour includes visits to 7 historical sites. Fees includes ground transportation, hotel accommodations, breakfast and dinner, entrance fees, and tips. the pace of the tour is leasurly with rest breaks and optimal meditation periods daily. Wether you are a Buddhist or world traveler, this trip combines pilgrimage with historical perspectives on the Buddhas culture and teachings. This journey ingredients of a truly transformative experience to expand consciousness and deepen you understanding This is an opportunity explore the Buddha's life and what he taught while standing in the places where his words changed the world. The Buddha himself suggested that it would be of great benefit for devoted followers to visit four prominent sites where he lived and taught including: Lumbini, in present day southern Nepal where he was born; Bodh Gaya where he attained enlightenment; Sarnath where he delivered his first discourse after his enlightenment; and Kushinagar where he died. ​The Buddha discovered the way to overcome suffering and bringing happiness to the individuals, families, and world more then 2600 years ago. 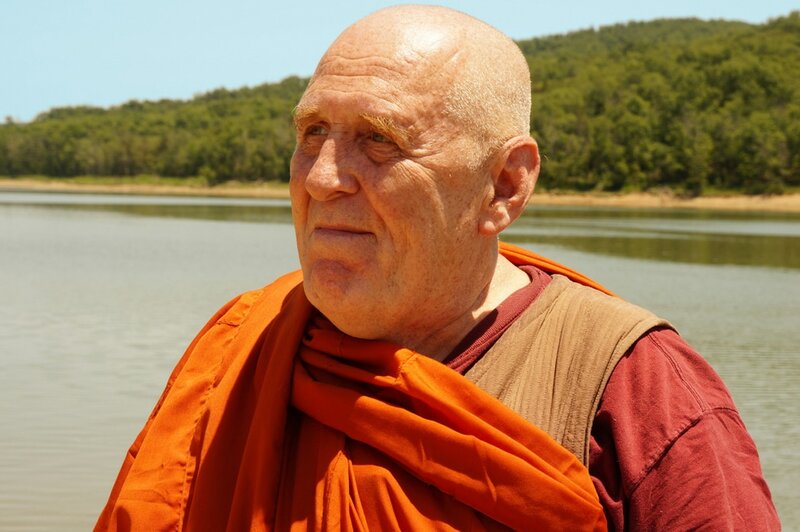 Before he died, He suggested that it would be of great benefit to those that practiced the Dhamma to make a pilgrimage to the places associated with his life. ​On this journey we touch a culture and civilization that are both ancient and contemporary. We take an inner and an outer journey through a fascinating and mysterious India in air conditioned comfort. We visit the actual sites where the historical Buddha was born, spent his childhood, attained enlightenment, taught, meditated and where he passed away. The journey is made in comfort by air conditioned bus appointed with cozy seats, beverages, snacks and bathroom on board. It takes us along the fertile plains of the Ganges, beautiful with its mustard and lentil fields, to the lush 'terai' that leads to the foothills of the Himalayas. Bhante will offer daily presentation of selected discourses by the Buddha at each landmark site where the Buddha spoke the original teachings. On our first day at Sarnath, the Dhammacakkappavattana Sutta will be read and discussed. Also known as the Setting in Motion of the Wheel of the Dhamma or Dharmachakra Sutra, it is considered to be a record of the first teaching given by Gautama Buddha after he attained enlightenment. 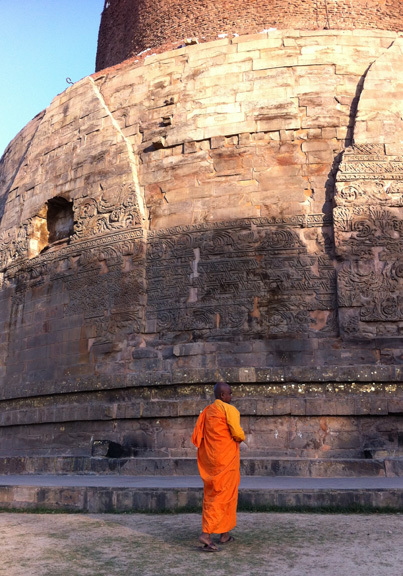 According to tradition, the Buddha gave this teaching in Sarnath, India, to the "five ascetics", his former companions with whom he had spent six years practicing austerities. The main topic of this sutra is the Four Noble Truths, which are the central teachings of Buddhism that provide a unifying theme, or conceptual framework, for all of Buddhist thought. This sutra also introduces the Buddhist concepts of the Middle Way, impermanence, and as dependent origination or dependent arisings.